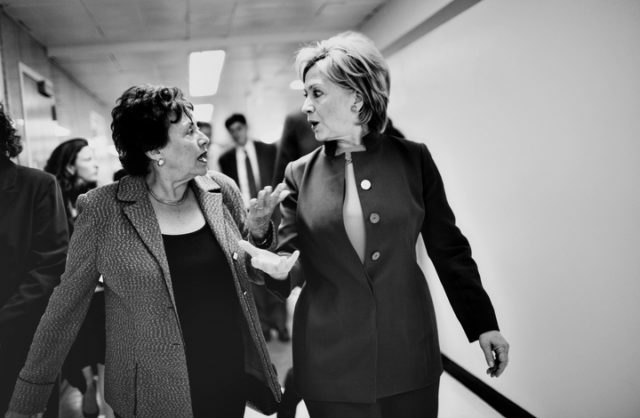 Secretary of State Hillary Clinton walks with Representative Nita Lowey after a drop-by breakfast with Special Envoy Richard Holbrooke and Representative Lowey at the State Department in Washington, D.C. on Sept. 16, 2009. Posted on 11/04/2009 by Melissa Golden. This entry was posted in . Bookmark the permalink.